In this episode of the Tales of Sigmar, Warhammer Age of Sigmar Podcast, Chalmers and Steve give their own retrospect look at Age of Sigmar version 1 while also looking forward to Version 2 and the Soul Wars and what they are looking forward to. We talk GHB2018, Slaanesh, Tzeentch, Moonclan, Stormcast, Nighthaunt and much much more! Not to mention answering questions from you guys the listeners! Welcome to episode 23 of the Tales of Sigmar, a Warhammer Age of Sigmar Podcast. In this episode Chalmers goes over his games at the Facehammer GT at the fantastic Element Games. With a Triple Chicken List (Kairos & Two Lord of Change) could he find any success? We also cover our hobby progress with Steve's one Plaguebearer in three weeks and Chalmers finally making some progress on his Pirate Orruk Kharadron Overlords for Realms at War 17. 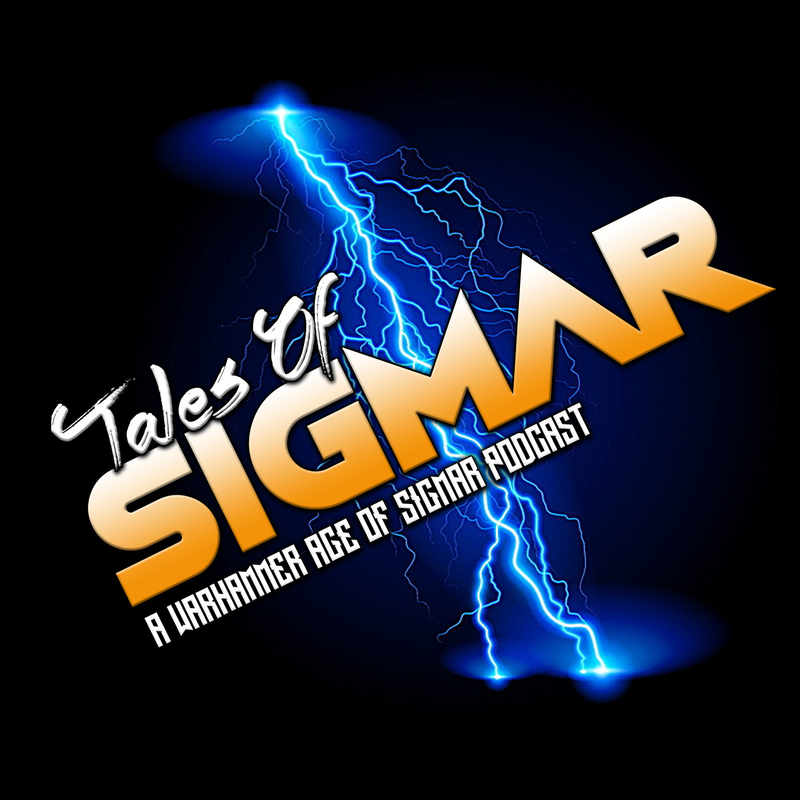 Welcome to Episode 22 of the Tales of Sigmar a Warhammer Age of Sigmar Podcast. This episode we chat the upcoming release of Firestorm, our hobby progress over the past couple of weeks as well as covering Steve's recent conquest at The Howling event in Stirling Scotland. We'll be back in two weeks time for Episode 23 where we will be covering the Facehammer GT. Hello and welcome to Episode 21 of the Tales of Sigmar Podcast. As some of you may have seen on Twitter, it's all change on the podcast with both Adam and Dan leaving the team. I'd like to take this moment to thank them both for all their hard work over the past 20 episodes it's been massively appreciated and they'll be greatly missed. So now we're moving into a new two-man team, with Chalmers and brand new team member Steve talking all things Age of Sigmar. In this episode we're covering Steve's history in wargaming, talk current hobby and also do a full segment on the new Horde Meta that seems to be arriving in the General's Handbook 2017 and how to deal with it on the tabletop. We are back for Episode 20. In this episode Chalmers and Dan chat about the Element Games Grand Slam event where Dan too full Moonclan with ALOT of squigs! We also cover General's Handbook 2017 reveals along with answering your questions that you've sent in. As mentioned in the episode Em's streaming can be found here. And Chalmers' new Tabletop Standard Commission Painting can be found here.